Contract archaeologists at the Brunner coal mining site explain their work to a New Zealand Historic Places Trust committee. 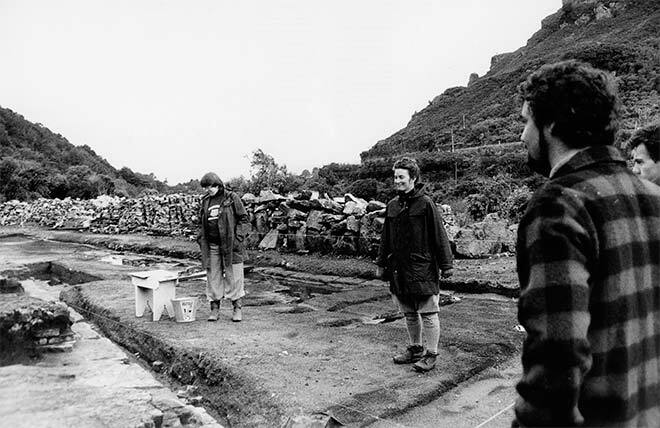 In the late 20th century archaeologists began to show increased interest in sites from the historical era, which is dated from the 1760s onwards. This included industrial sites such as the Brunner coal mine and the Otago goldfields. Archaeological work often provided clues to everyday life that were seldom found in the written record.